The following information has been distilled from the downloadable PDF (link below). This information is meant as an introduction to Ontario planting for the novice and advanced planter. For further interest or for curiosity’s sake, the more complete document is highly recommended. Several thousand planters will learn to screef their first tree in Ontario’s hinterlands. As the largest province, Ontario’s working conditions and terrain are impossible to generalize or dismiss. Ontario planting operations put 60-100 million seedlings in the ground between May and June. Approximately 2000 entry level planters will find themselves scattered across a host of Northern Ontario logging towns. When party time comes, Thunderbay and Timmons can become rowdy planting meccas for planters hungry for movies, live music, and a variety of drinking establishments. Planters who plant in Ontario do so for a number of reasons. Some go for the money. Others crave the challenge. Many are simply trying to discover themselves. Few can state exactly why they go and most wish they never went in the first place. Typically, Ontario planters are students or travellers looking for a good time while they save cash for the fall. However, Ontario does have a share of eccentrics and lifers who plant for reasons all their own. Ultimately, Ontario planting is largely about experience. Few people go for any one reason and there is no single reason to go. Not everybody likes the job. Some love it. Often times, people do not make crazy money in the summer. There are a few people who plant for the specific purpose of cache(ing) in. However, no one forgets the feeling of accomplishment from having planted. Looking at a piece of ground at the end of a day and saying “planted” is a feeling unique to itself that I could never discourage anyone from achieving. Most planting operations in Ontario are conducted by organizations that best resemble streamlined corporations. Ontario planting companies structure themselves as an umbrella that provides silviculture services to a series of different clients. 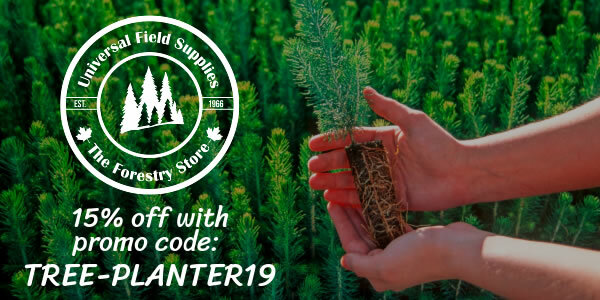 Effectively, a single Ontario tree-planting company will run a series of treeplanting contracts as well as brushing and thinning contracts on behalf of different clients. One of the main reasons for Ontario’s poor reputation is the fact that most companies in Ontario are medium enterprises that employ upward of 600 people during the summertime. Many planters feel abused and/or taken advantage of through the anonymity of working for a sizable enterprise. Some smaller contractors do maintain operations, but these small businesses are the exception in Ontario and cannot afford to the marketing and recruiting campaigns conducted by the larger outfits. When you plant at a camp you are working on a contract between your company and their client. A client is a forestry company that has logged a portion of ground (called a block). Industry best practice demands that they restock what they removed to ensure the availability of the forest’s natural resources for future generations. Any given contract will consist of a series of blocks that need to be planted. The Company delegates a Project Manager or Supervisor to oversee the planting of these blocks to the specifications of the client. The Project Manager delegates the planting of each of these blocks to a Crewboss is responsible for full coverage of the land. The crewboss or foreman, then divides the block of land to the planters on his/her crew (10-15 planters per crew) to ensure the speedy and profitable completion of the block. As a planter, your job is to cover the piece of ground assigned to you with trees that are planted to the client’s specification. This hierarchy is supported by a tree-handler who is responsible for bringing trees to each crew. Species planted in Ontario include White Spruce, Black Spruce, Jack Pine, Red Pine, White Pine, and Oak. Black Spruce and Jack Pine are the most commonly planted species. In a typical day, you will handle only one stock type. Occasionally, alternative stocks will be provided for coverage of specific microsites (black spruce for wetland pockets in a dry block). Planting a mixed forest (multiple species in the same terrain type) is not the norm, but it is becoming more common. White spruce is reserved for shady areas like hills and canopied ground. Black spruce is planted in wet low lying ground. Jack pine is planted in dry ground. Red pine is reserved for dry and sandy ground. White pine is planted in over-cuts, selected areas, and it is occasionally mixed with other species based on Client requirements. Ontario’s immense geographical area presents a variety of land types – there is no such thing as definitive Ontario terrain. Some contracts might be predominantly, roughland rock-pounds, conversely a block could be swampy lowlands. If you’re lucky you’ll score a sandy racetrack and make some big bucks. In practice there is no such thing as the “best” land to plant. It is largely a function of planter preference, experience and piece rate. Typically, a contract is a combination of blocks that contain different terrain types. Sheer determination, willpower, and greed is a planter’s best defence against being stuck at a rough land contract. Typically, you’ll find the rockier land to be around Lake Superior (Marathon, Manitouwadge, Dubreilville, Nippigon), the swampier land to be further North by James Bay (Kapuskasing), and the sandier flats to be sprinkled throughout the interior of Ontario (Ignace, Machesni, Chapleau). Since Ontario Companies are a conglomeration of different contracts, it is not abnormal to move from through different contracts in different regions while working for the same company. Machine site preparation is a process where large tractor like machines rip through the untamed surface of a clear cut to expose mineral soil. In doing so, the need for screefing is diminished. Accordingly, the process of planting a tree is accelerated. Site prep is generally referred to as scarification. Forms of site prep can include Barrel and Chain, Double Disc Scarification, Brache, and Blades. Blocks that aren’t mechanically prepared are refered to as hand scalp or unscarified. However, these blocks could be corridors made by harvester skidder trails, fill blocks, or sprayed terrain. Raking is the act of collecting and piling the slash after industrial harvest. Considering the varying types of terrain and site prep in Ontario, number expectation will vary accordingly. At best, when the land’s topography is dry, flat and trenched pine forest it is not unheard of for Highballers to average 4K and up, Vets to plant 3000 trees and educated rookies to plant 1500 – 2500. In wet spruce muskeg numbers can drop HB’s 3500, Vets 2000 – 2500, Rookies 1200 – 2000. If the land become gorgy numbers can seriously trail off HBs 2500 Vets 1500 Rookies 700. There are exceptional planters who will destroy these quotes through an exceptional combination of physical virtuosity, discipline, and land management skills. The above numbers are realistic expectations for hard working, knowledgeable, and widely experienced planters. Quality of scarification will affect numbers. Easy to interpret scarification will boost productivity, while messy preparation will pose efficiency and organization complications. A crew boss can impede number expectations through incompetence, miscomprehensions of quality specifications, or negligence. The ability of a crew boss to properly motivate, instruct, and communicate with a planter will affect numbers. By the same token, a crew boss can lend planter support that will boost numbers. A good crew boss will make accurate decisions concerning cache locations, nutrient supplements, land investigation, and duration of working day as it relates to a close out. There is no laundry list of qualities that make for a good crew boss. Each planter must decide whether there is a fit between a crew boss and their planting style. If someone judges a crew boss as bad, it could be because of personal differences. If you are waiting for trees you can’t plant them. If you are walking too far to your caches you are not planting, hence you are not making money. If trees are cached at convenient locations that anticipate where and when you will need them, then you are going to make some coin if you seize the opportunity. Rookie assessors can be unnecessarily harsh on quality expectations. Some assessors can be overly lax in their quality requirements. Planter earnings will vary depending on planting experience, company management, prices, projects and ground conditions. Acceptable earnings for an experienced planter are $200 a day. It is not abnormal for highballers to make a consistent $300 a day. Second year planters typically average $150/day. Realistically, these figures will fluctuate by $50. Over the course of a season a vet will make between $4500 – $9000. Highballers have earned between $12000 – $20000 in a single two month season. As a rule of thumb rookies make considerably less money. While some rookies make no money at all, others will make more money than some experienced planter. Average day wages for a rookie range from $50 – $120 / day over the whole season. This number sounds low, but the first portion of a rookie’s season is generally spent learning. During this period of time a rookie earns $30 – $100 / day. As the season progresses, and a rookie builds on their planting skills and experience, their money increases to an average of $100 – $200 / day. It is not abnormal for a rookie to pound out a $300 day. As a rookie, expecting to do so is ludicrous, since many Ontario planters only break $300 in their second year (if at all). Rookie earnings have a wide range $2000 and $7000. As a median, a rookie will take home about $3500. However, there could be a lot of rookies that make no money, a bunch that made around $3500 and then a few that made significantly more. Calculating a rookie’s earning potential is impossible. A planter has to be kind of crazy to do this job well. The necessary insanity only becomes evident about three weeks into a rookie’s first year. To an experienced planter Ontario ground is relatively fast and the small stock is easy to plant. Accordingly, prices per tree are considerably less than in the other provinces. Tree prices range from 6.5 cents to 9 cents. There are exceptions on especially tough projects. Extenuating circumstances can circumstantially boost the rate as high as 12 cents. More often planters will be given a bonus for high production in a particularly rough or inconvenient block. Average rates will vary between company. Lower rates will be reserved for faster land. Higher rates generally imply rough ground. However, with minimal deviation in tree prices, the quality of the land will vary greater than the rate. Given a realistic expectation of planted production in a given day, and multiplied by the piece rate, how do my earnings compare to other planters in my camp, company and region? If you are earning less than the earnings quoted in these pages, then there is a significant problem. If you are earning more, shut and plant because you should be grateful for lucking out at a cream show. All Ontario contractors will charge camp costs. For this service they provide transportation to the block (gas included), sanitary facilities, cooking facilities, culinary staff, and abundant nourishment. You are paying for these services with your camp costs. Camp costs in Ontario are $25 a day. With the occasional $12.5 day off, when breakfast is not served, or dinner is left-overs. Many Ontario companies offer a camp cost bonus. This bonus is offered as a “retainer” for experienced planters in both a legal and financial sense. They are usually production bonuses of one sort or another. These bonuses reduce an Ontario planter’s overhead. In turn, it is perceived as a way of increasing a planter’s net earning potential. The planting season in Ontario can begin as early as late April. Barring forest fire or late snowfalls, every major contract will be in full swing by the second week of May. Planters who begin a season in Ontario should expect to be kept busy until late June. The duration of a season will impact your earning potential. A longer season translates to more working days. More working days = more money earned. Most contracts in Ontario last for at least 5 weeks. In practice a contract will last for a solid 7 weeks and could extend to 10 weeks. Occasionally, contracts will run into July. Savvy highballers can usually pick up late season project work, however all Ontario planters are unemployed in the last week of July. Because there are very few trees planted during September, it can be difficult for rookies coming out of a training camp to get onto these contracts. Ontario planting companies generally provide a 6 day work week. Some companies will extend a work week when they are behind schedule. Some companies will send their planters to town for their nights off. Others will stay in camp and party. Planters will always be given the opportunity to go town on days off for supplies and laundry. Ontario planting idealizes a certain spirit about bush living. During the months of May and June, motel shows become bedtime stories BC lifers tell cold and tired rookies. In Ontario you bring a tent, a warm sleeping bag, and a pile of dry clothes. A typical summer planting experience includes snow laden mornings, torrential spring rains, sweltering heat, and a few weeks of pleasant July weather before fall starts in August. It’s not unheard of for many rookies to quit the contract during the first bout of bad weather. As you brave the elements, the sublime realization that if you stay you’re subjecting yourself to mother nature’s every whim for the next two months provide ample excuse to pack up and get out of dodge. Few contract staff will stop you from leaving. Most staffers recognize genius when they see it and wonder why they never upped and left during their rookie years. Those that decide to “tough” it out eventually form a symbiotic bond with their tent. Typically, elaborate tarp cities and fire pits sprout up after a significant rainfall. Dreams involving the planting of one’s tent are surprisingly not that uncommon. There are bugs in Ontario. Lots of them. Especially after a rainfall. They are going to love you. Deet and a walkman will become your best friends. Bush camps are the norm in Ontario. The camp typically consists of a dining tent, dry shack, kitchen, privies and showers. Bush camps are usually set up at a remote roadside location. To diminish the commute between the blocks and the nearest town. When staying in a bush camp treeplanters sleep in their own personal tents. Living in a bush camp is nothing like going camping or backpacking. Bush camps can be assembled almost anywhere. 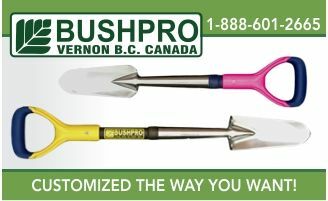 Depending on the amount of heavy trailers, an Ontario bush camp can be assembled and made operational inside of 1-2 days. Most contracts will not relocate their camps. Some contracts will move up to 3 times over the course of the season. Often a camp accommodates 30-50 people. In bush camps, one or more full-time cooks typically prepare food. Many people find that the food is a genuine highlight of the summer. Food is plentiful and often well suited to the needs of planters. Logging camps are mandatory in Ontario’s unionized camps (Ignace). You stay in ATCO-type trailers where there are two-four beds per room, hot showers, laundry facilities and satellite television in the common room. Food is generally heavy and unimaginative with a wide variety of greasy foods available. Living in a bush is half of the appeal for many Ontario planters. Be warned! From an outside view a bush camp bears many resemblances to a demilitarized refugee camp. Dirty rusty vehicles will be parked next to various shelters that have been erected to protect dirty and dusty planters. Some camps will have a very stong social dynamic. If there is no danger of forest fire, camp fires and music are not out of the question. Conversely, some camps will be strict work camps where everyone is sleeping by 9:30 pm. However, planting is about extremes and many planters enjoy the lifestyle paradigm shift that planting offers. Even so, there is only a limited amount of socializing a planter can handle after planting 10-12 hours. Meal times are the prime gathering time where planters get to fraternize with people who aren’t on their immediate crew. After meals, many planters will read, talk trees, complain, play cards, Frisbee and other sports (if they didn’t work all that hard), but it never ceases to comfound; even the most grizzled- vet the lengths planters will go to entertain themselves. Most camps will have at least one pet camp. Few companies prohibit animals as a rule. Pet owners, are expected to be responsible for their animal’s mess. Pets that prove to be a threat to other planters will not be welcome. Most camps and planters will not tolerate dogs in the mess tent during meals. The high point for most planter’s week is typically night off. This is because you don’t have to plant the next day – So why not party like it’s 1999. Many tree-planters have been known to be consummate lovers of alcohol. On party night, there is full license to indulge this love. Depending on the company, you will either go to the nearest town for the local tavern’s dance floor, or your project manager will import kegs to camp. Planters under 19 will not be served alcohol. Planter parties can be loud boisterous affairs. If you go plant, and you decide to drink, please be respectful of the local town’s inhabits or the town will not welcome you back. Drunken planter rowdyness is a recurring and continuous problem that makes finding service for more respectful planters very difficult. Also, despite the minimal traffic in rural Ontario, do not drink and drive. Otherwise, be sure to enjoy yourself. Many planter’s have their fondest memories of their bush parties. 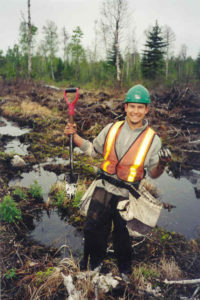 When Gabriel Elias isn’t terrorizing the city of Toronto, he can be found planting trees in Ontario’s desolate Northlands. His favorite tree to plant is the black spruce tree. His favorite weapon of choice is a shaved down bare root shovel he found during in the spring of ’98. When it gets really hot, he loves to plant naked. After four years of planting he has lost track of the number of contracts and crews he has worked on. Lately he has been fancying himself as a rogue highballer. But in the early spring season he can probably be found hassling to the latest crop of recruits. This summer Gabriel planted his 750,000th tree. At the pace he is going he figures that he is a season and a half from hitting the one million mark. Most people think Gabriel’s love of tree-planting qualifies him for psychiatric treatment. Gabriel knows he is most likely royally and completely screwed. As of the winter of 2002, Gabriel can probably be found in Toronto, on the phone or e-mail kiosk wheeling and dealing his schemes to take over the world.